Our hands have the ability to harm, to help, or to heal. They can communicate love, hate, and any emotion in between. Essentially, our highly evolved and articulate hands are what separate us from other mammals and allow us to grasp, build and create the world around us. Just as reflexology links parts of the feet to different areas of the body; the hands are also very physically related to vital organs and systems within us, and with the use of mudras, we can put our hands to even more good use. There are over 2500 nerve receptors per square centimetre in the hand – so each gesture is unique and has a significant meaning. Even if you’re not a believer of ‘this sort of stuff’, it’s more about what the gestures represent and help us to focus on – and is another way of connecting and heightening our awareness, just like we would with a meditation or asana practice. The word ‘mudra’ means ‘seal’ or ‘gesture’. These hand gestures can be used to awaken energy within us and to connect to different parts of the body. They’re traditionally used in a seated position during a meditation or pranayama practice, but once you’re familiar with the mudras you resonate with the most, they can be used effectively at any time you feel you need them. The most recognisable mudra in a yoga class setting may be the Gyan Mudra – the ‘Gesture’ or ‘Seal of knowledge’. 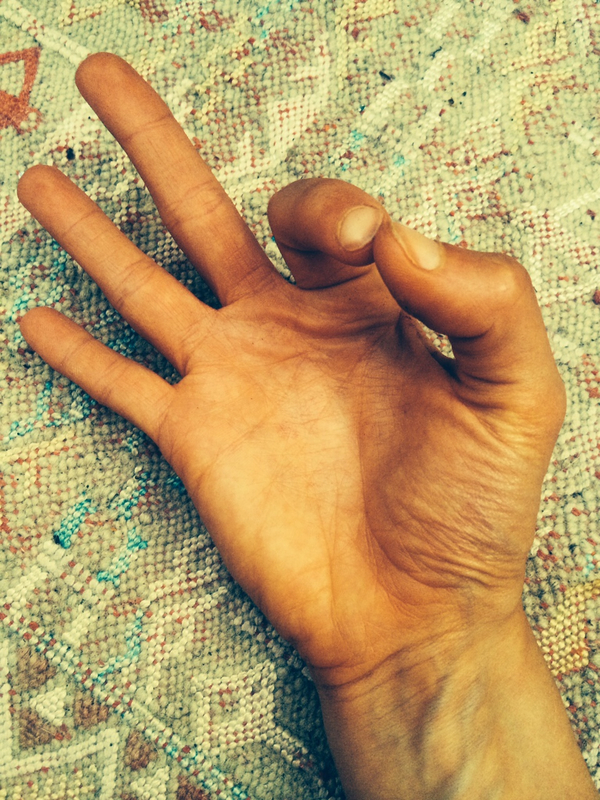 This mudra represents the knowledge found through practicing meditation and deep concentration. The thumb and index finger are connected to create a circuit of energy flowing around the body to direct inner awareness and to heighten a sense of peace and creativity – useful for when you need to take a break from a hectic day and re-boost the brain. Ganesha Mudra: Ganesh is known as the ‘remover of obstacles’, although he’s also known to place obstacles in our path so that we may overcome them and grow stronger within ourselves. This gesture strengthens the heart energetically and physically, and focussing on the meaning of the mudra brings us the strength we need to overcome obstacles we’re faced with. Ksepana Miudra: Directs negative energy out of the body, and brings in positive energy. Use when you feel unhappy, or if you need to release any thoughts or concerns which may be causing you tension. 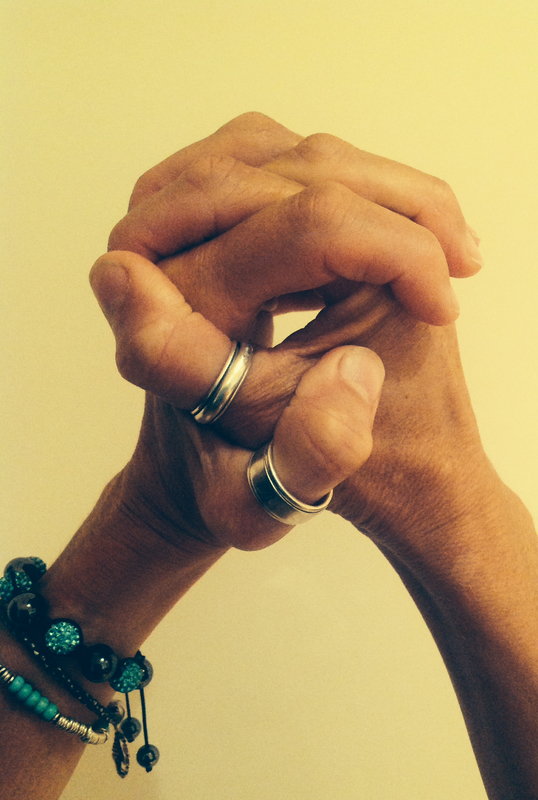 Inner strength mudra: More important than biceps and ab muscles, is a sense of inner strength. Having the strength to be ourselves in any situation and to trust our intuition is something we just can’t get at the gym…. Incidentally, this is also a mudra for connecting to the heart, as it does take a little inner strength to be true to and listen to our heart instead of our head. 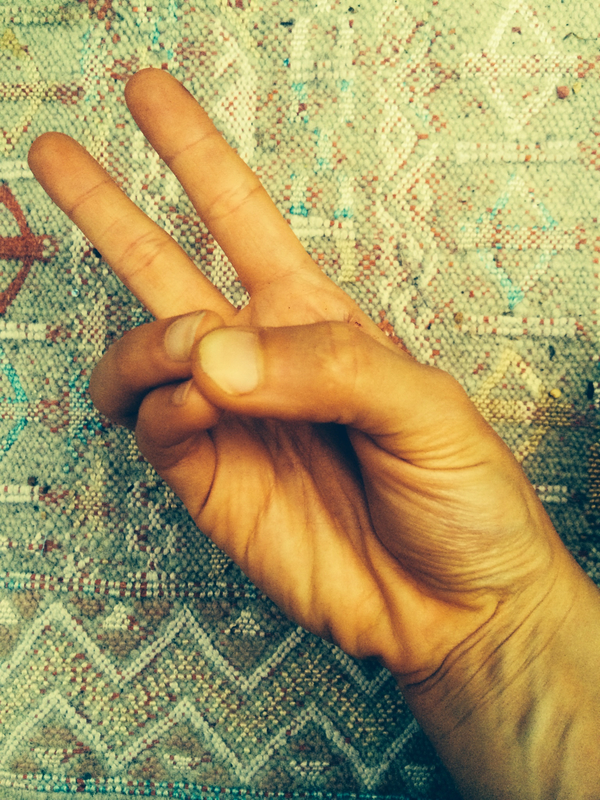 Prithvi Mudra: Restores that grounding energy we might need when we feel a little unsettled or flustered. Good for if you’re travelling and miss that sense of feeling safe, stable and ‘at home’, also very effective before a big speech or presentation when we’re at risk of letting our heads get the better of us. 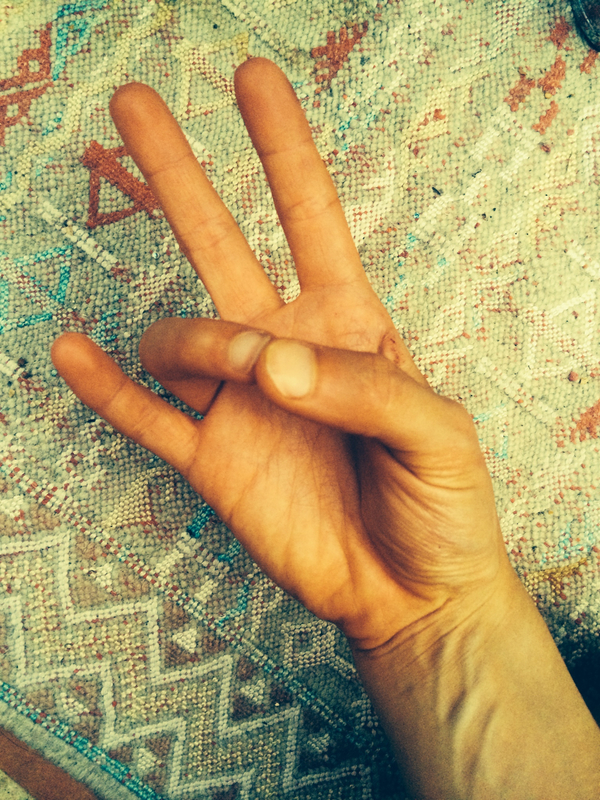 Prana Mudra: ‘recharge your batteries’, if you feel a little worn out, this will bring a little more vitality and energy to your day. ‘Prana’ is often translated as ‘life force’ and brings that feeling of being truly alive and aware to each moment. Lotus Mudra: A symbol of purity. The lotus is revered in Buddhism as representing the opening of the heart. All too often we physically close off our heart space by slouching our shoulders and collapsing the chest, and we energetically close off our hearts when we feel threatened or if we’re faced with rejection. 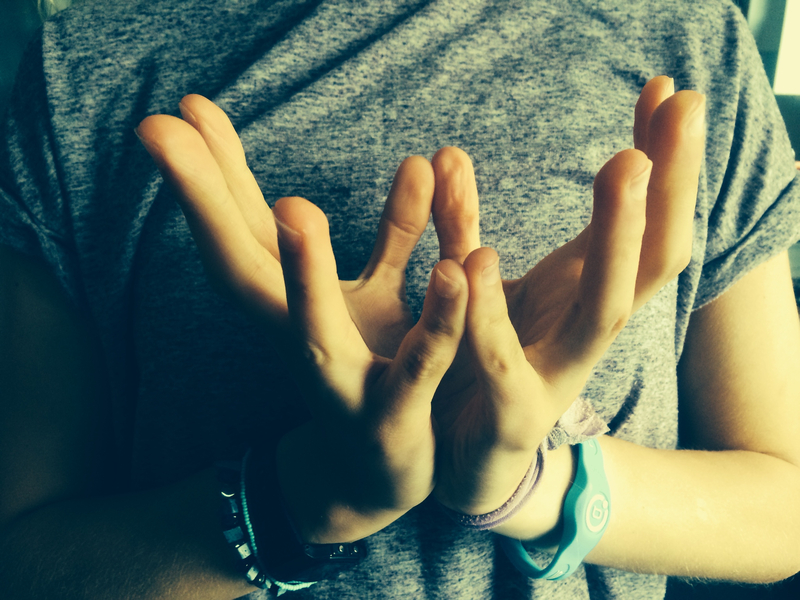 Closing off the heart closes us off from being able to properly and authentically connect with other people, and practicing this mudra can help us to focus on letting down those barriers that stop us from just being ourselves. 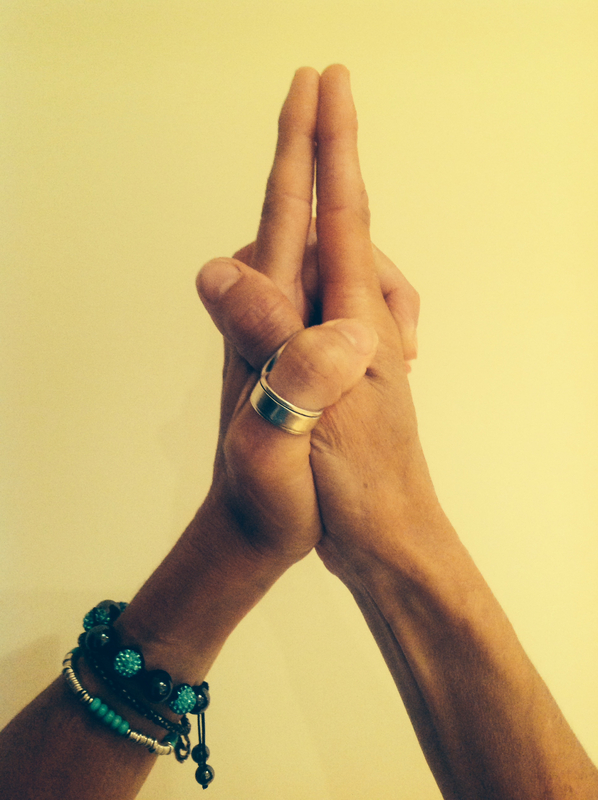 Granthita Mudra: unties the ‘knot’ in the throat chakra, allowing for expression to flow, and the confidence to speak your truth. Use before an important meeting, a speech, or a conversation you’re worried about having with someone in order to find and speak your truth clearly. 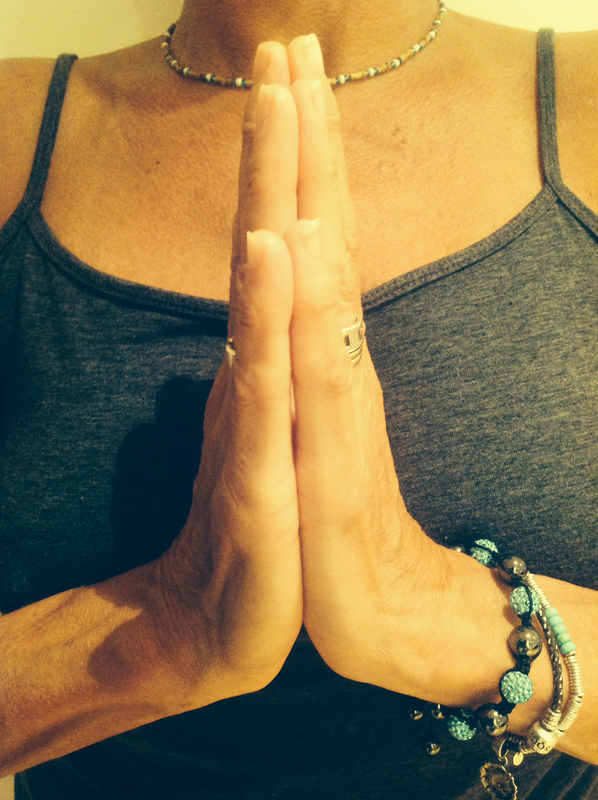 Shuni Mudra: This gesture is known as ‘the seal of patience’, and is definitely one we could all use. 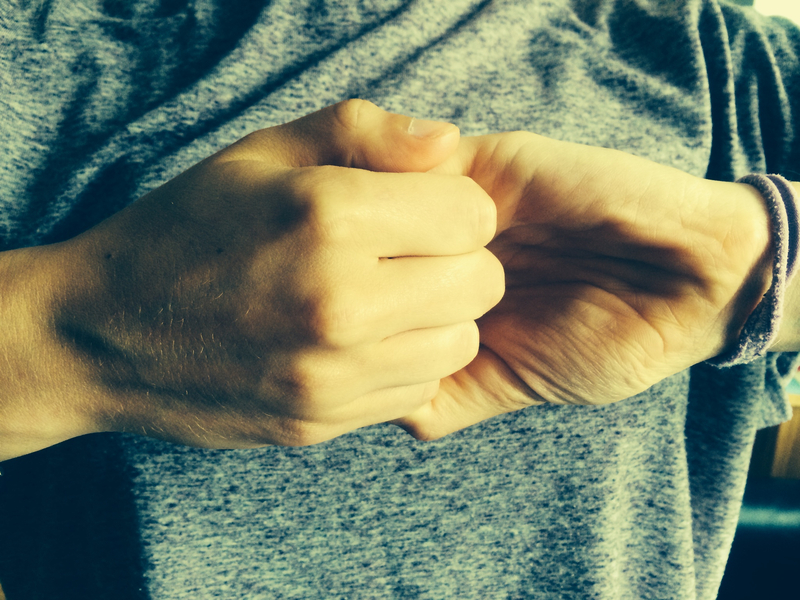 Shuni Mudra encourages compassion, understanding and patience towards others – so the next time you’re about to start an argument in a queue, or you’re waiting for that friend or family member who is always late, practice this gesture and have a little understanding towards them. 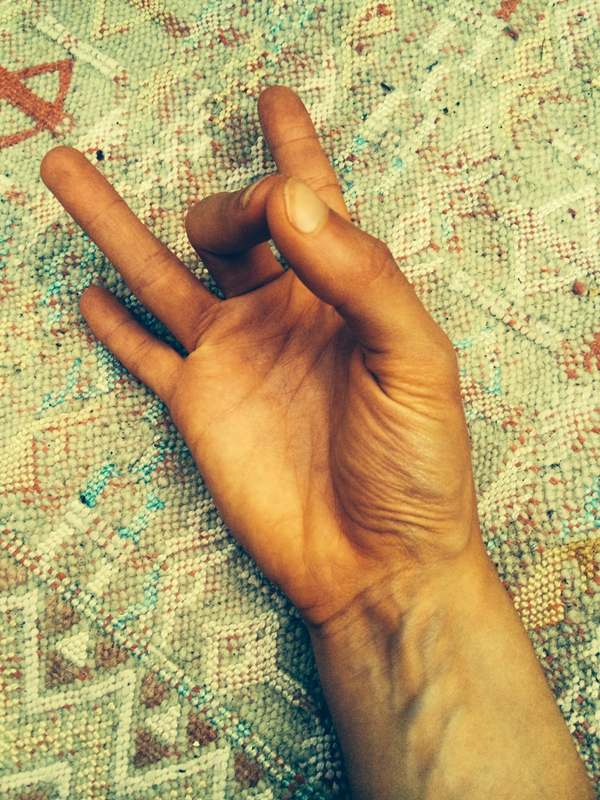 Anjali Mudra: Another recognisable gesture which is often used throughout a physical yoga practice – Anjali mudra also connects to the heart center and focuses upon that sense of connecting to our truth and authenticity. This gesture is used in many cultures upon greeting each other to show a sign of peace and respect to one another. So, the next time you’re in need of a little more energy, the ability to focus, to find happiness, peace or strength – remember that the answer isn’t far away, in fact it’s right at your fingertips! Thank your for this wonderful explanation, Emma. I´ll bookmark this one and come back to it often until it comes naturally. I came across your blog after reading your posts about the Niyamas, on Ekhart Yoga, and I must tell you I love how to explain things. Thanks for make it acessible for people like me who want to know more about the spiritual side of yoga. Love, Raquel. Thank you very much! I will be writing another post for them soon, glad you enjoyed it! A well explained description I learned so much and enjoyed reading it!